They’re comfy, cool, and give that slight Fight Club look when worn with a fur coat, who would of known?! 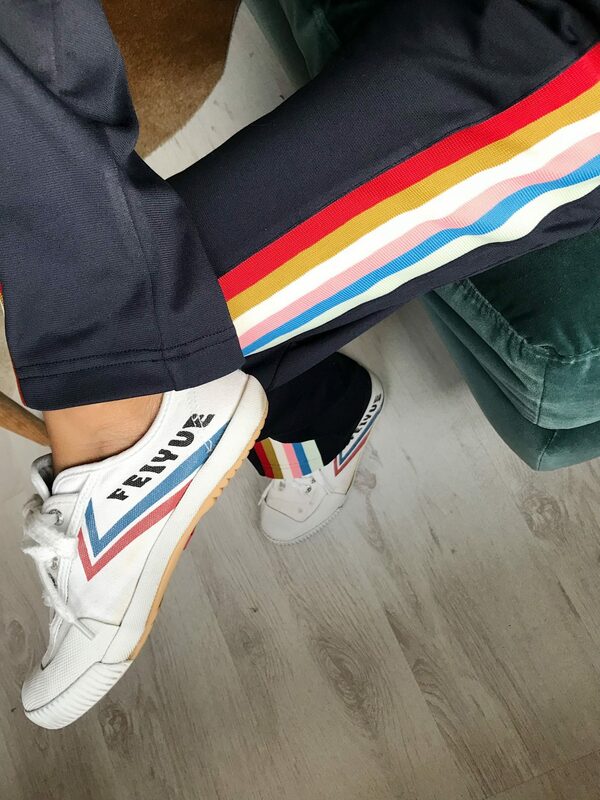 So the tracksuit pant is back, and this time it’s one to be ‘saved for best’, and not for running errands. They are cut straight, either cropped at the ankle or to be worn draping over your old (but actually brand new) trainers. Combined with a basic or band tee, and ‘it bag’, it leaves it to the coat to determine the destination of this look. A fur coat will keep it casual, think lunches down Kings Road, traveling over Christmas, shopping trips and casual meets with friends. While a heavy long tailored coat will make it meeting appropriate, and switching form trainers to heels will get you entry to any bar in town. This look is for the trend setters, the ones not afraid to take a chance. A look that oozes confidence and comfort. Win win.